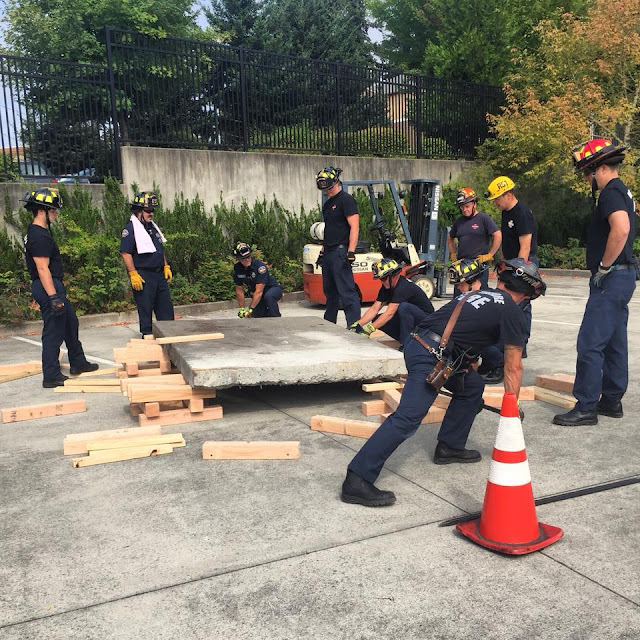 Northshore Fire conducted training Tuesday, July 31, 2018. Today our crews are training for a natural disaster, when access to resources and areas are limited. Here the crews are using human power to lift and stabilize a heavy concrete slab.